I love Steven’s point of view on what is just a simple bowl of Cheerio’s. 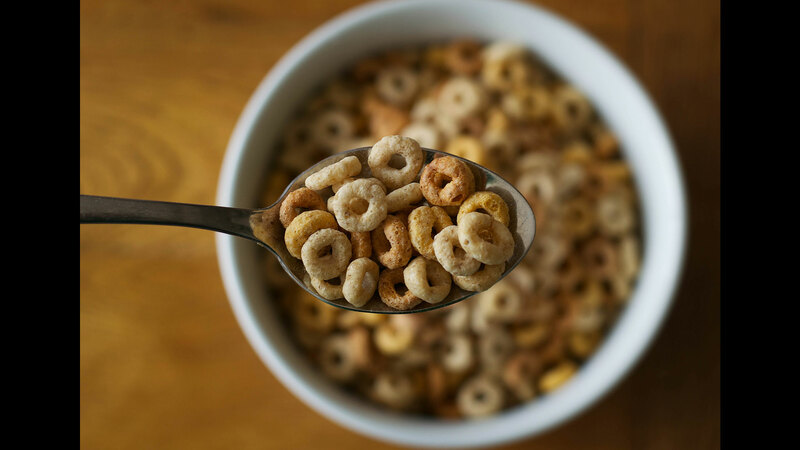 By having a shallow depth of filed, Steven gets the spoon in focus and provides a backdrop to the spoon and cereal being held. The table the bowl is on continues to lend itself to the scene, giving complimentary colors that blend in with the cereal.